A new character joined the game! Give Ron on the Bass Guitar a warm welcome. 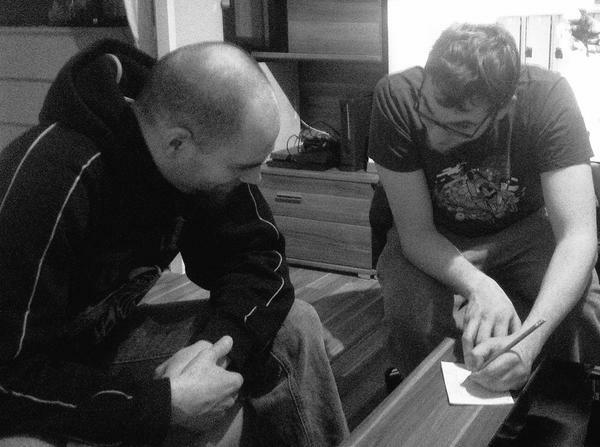 We already started working on the next album, which will contain 7 tracks. Also, we will play along with Lukas on the drums in about 3 weeks and see if that works out. Maybe we’ll even find a very own band practise room – But we’ll see about that. Until then, working in the home studio will be just fine. I still haven’t found time to edit the live video, so sorry for that. But as soon as I get to it, I’ll post ist here! I can't believe it, but the physical production of our Album starts today!